Our Lady's celebrates this sacrament by appointment, on Saturdays at 10:00am. Please contact us to schedule! The catechism points out that the Holy Eucharist is both a sacrifice and a sacrament. As a sacrifice the Holy Eucharist is the Mass. The Mass is that divine action in which Jesus, through the agency of the human priest, changes the bread and wine into His own Body and Blood and continues through time the offering which He made to God on Calvary—the offering of Himself for mankind. The act by which we receive the Holy Eucharist is called Holy Communion. Holy Communion is celebrated during mass. Our Lady's celebrates this Sacrament on Saturdays from 4:00pm to 4:45pm or by appointment. While Confirmation is a distinct and complete sacrament in its own right, its purpose is to perfect in us that which was begun in Baptism. We might say—in a sense—that we are baptized in order to be confirmed. 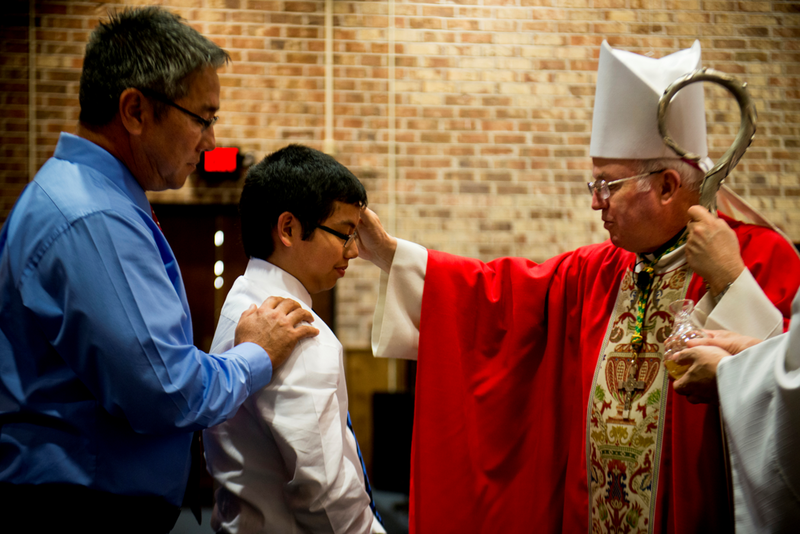 The Catechism’s section on Confirmation says that Confirmation is the special outpouring of the Holy Spirit. Through CCD or RCIA, 8th graders or adults, respectively, can obtain this sacrament. For eighth graders, see the Faith Formation page. For adults, see RCIA. Please contact us to schedule a marriage. Please contact Father Bender or the Harrisburg Diocese Vocations Office. Please contact us to schedule an anointing of the sick. One need not be strictly in danger of loss of life for this sacrament. Thanks to Saint Anthony Catholic Church in El Segundo, California for their sacrament descriptions.